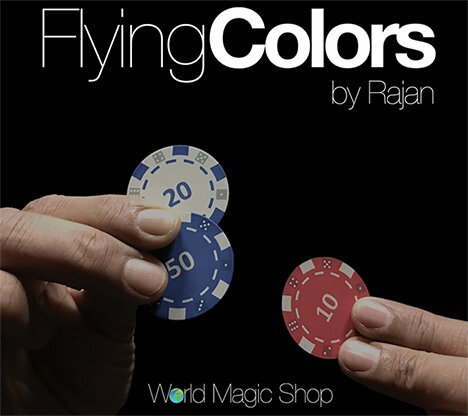 After years of keeping this underground, Rajan has finally been persuaded to release his killer effect 'Flying Colors'. 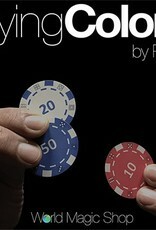 A beautiful bare hand production of Red, White and Blue Poker Chips (showing fronts and backs). They then begin flying from one hand to the other, right at your finger tips. First the red, then the white, then the blue. ONE COLOR AT A TIME! This is 3 FLY on steroids! You receive the in-depth instructional video with a tried and tested script including all the gags and presentation to elicit great responses. You will also receive the special gimmicked Clay Poker Chips, workshop manufactured to match chips from the world's premier casinos. Perfect for Stand Up, Parlor, Formal Close Up, and Around The Tables.